Many of my clients have great content teams working on optimizing websites. 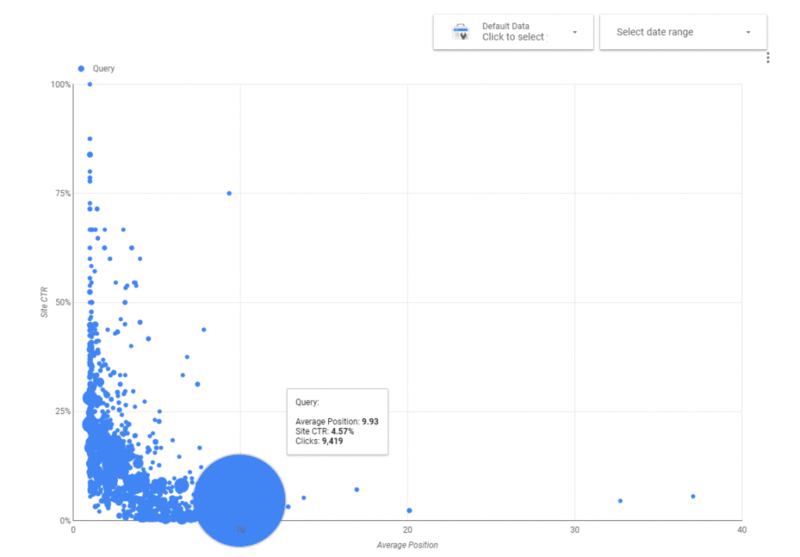 Sending them a spreadsheet of data with some fancy click through ratios for keywords or URLs that perform better or worse than other datapoints will not get them enthousiastic at all. 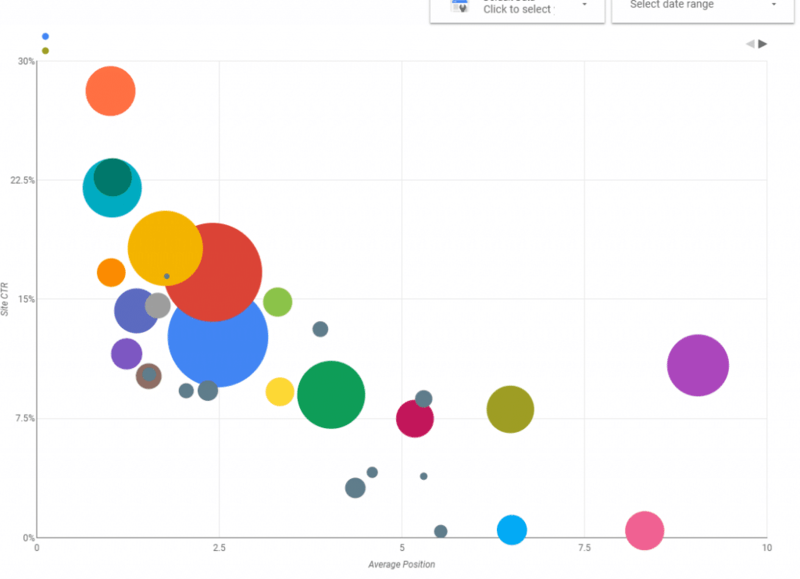 Sending them a fancy interactive graph in Data Studio will get them to work (not a 100% success ratio!) on boring things like optimizing meta descriptions and titles. 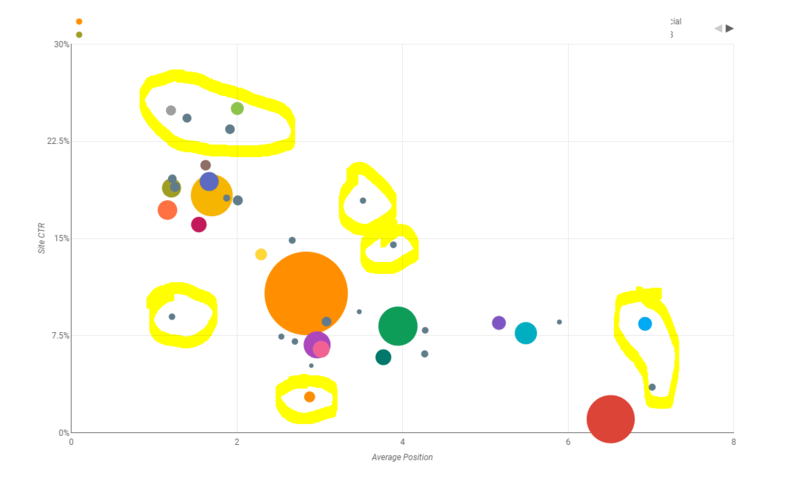 So how can you spend 5 minutes of your time on Data Studio and make your life as a marketer much easier? Follow the instructions below. Adding a data source: First make a connection with your Google Search Console account. Once you have added that, select the profile from which you want to use the data. 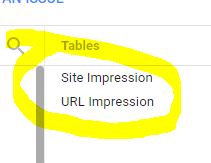 When adding Google Search Console you have two options to segment data: Site Impression or URL Impression. We need queries, CTR and ranking which are all available via Site Impression! Select and hit Connect in the top right corner. If you want to plot multiple profile and choose varying periods, add both selectors via the options at the right site of the menu so you can quickly switch when you’re in the view mode. Now we need to filter out the less useful datapoints. 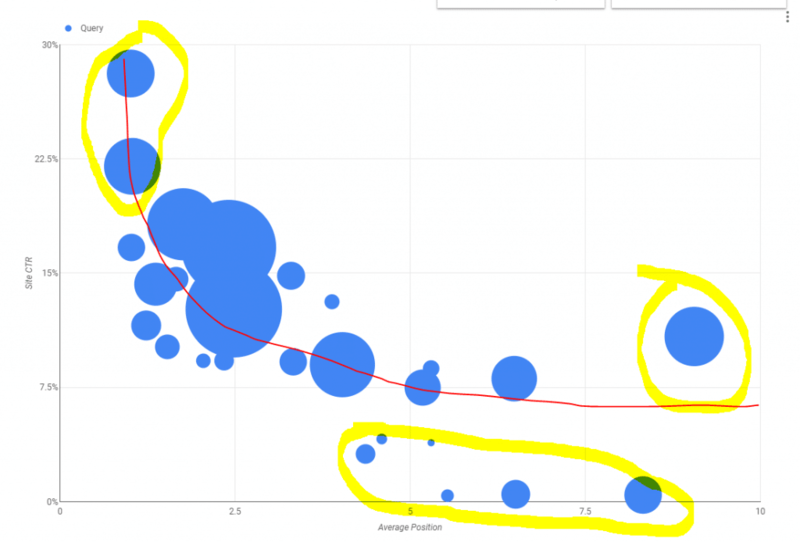 Queries that low number of impressions or clicks will have less relevant data points for this analysis. So let’s add another filter to only show queries with more than 100 clicks. 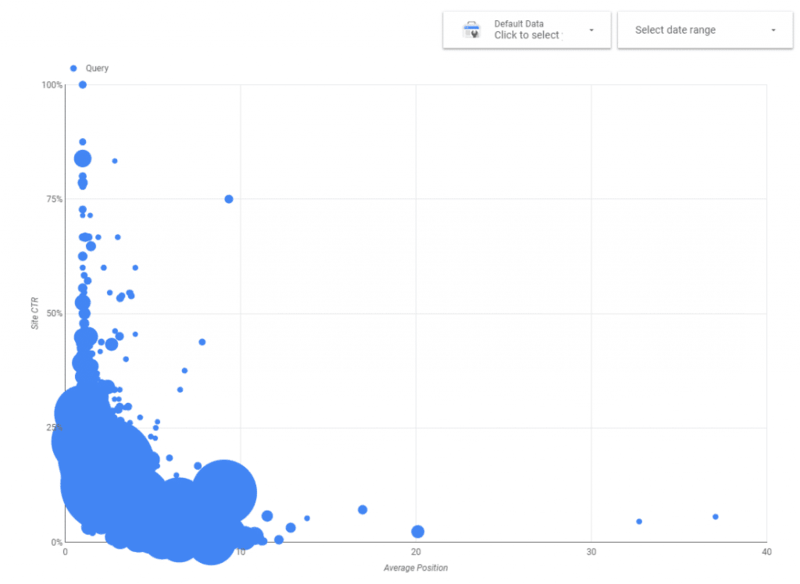 The other factor to keep in mind is that when optimizing for keywords with a high number of clicks / impressions the impact of your updates will be bigger and more easy to measure for success / failure. For more popular websites you can increase that number to find the biggest opportunities. 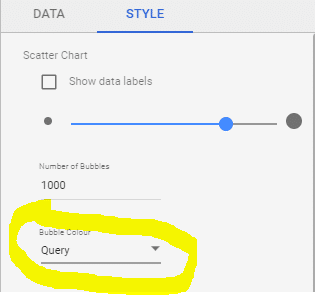 Another way to start is to just copy my report to your Data Studio account: check it out at https://datastudio.google.com/open/1jC8wkMlOtSiAGk5NMGxapxsv26wSJIf3 If you copy the report, you probably need to re configure the filters to match your individual data set. Let me know if you have any issues with setting up these graphs!